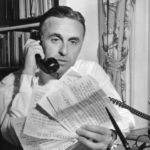 Born in New Britain in 1910 to Jewish immigrants from Poland, Abraham Alexander Ribicoff attended local area schools, and after graduating from high school, worked at the G.E. Prentice Company to save money for college. In 1928, he enrolled in New York University, but shortly after transferred to the University of Chicago. He graduated from law school in 1933 and eventually opened his own practice before entering politics as a member of the state legislature in 1938. Ribicoff then won election to the 81st and 82nd Congresses where he served until 1953. 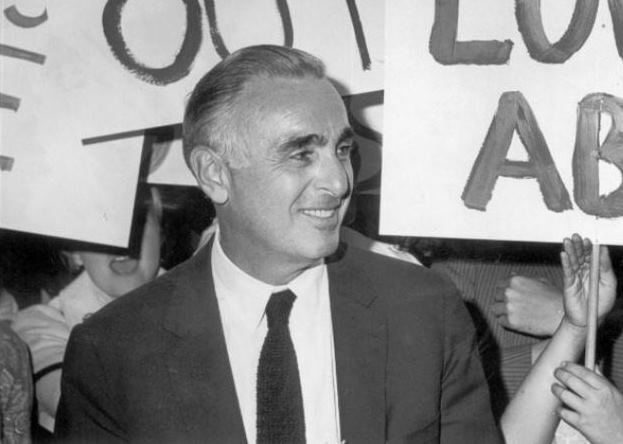 In 1955, he defeated Republican governor John Davis Lodge to become Connecticut’s first Jewish governor. Ribicoff’s run as governor ended in 1961 when he took a position as John F. Kennedy’s Secretary of Health, Education, and Welfare. The following year he won election to the US Senate and served from 1963 to 1981. Hurricanes Connie & Diane Deliver Double Hit – Who Knew?